The artist Bob and Roberta Smith believes that the withdrawal from sale of Banksy's Slave Labour mural sends a clear message about art in the public realm, from graffiti to Henry Moore sculptures. 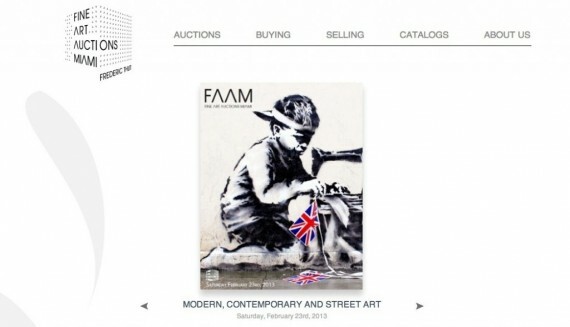 The collapse of the sale of Banksy’s Slave Labour at the weekend gives a message to auction houses that, actually, things in the public domain do in some measure belong to the public. Who owns art? Answer: everyone and no one. The halting of the sale in Miami is further evidence that auction houses must make clear – and take responsibility for in public – the provenance of items they wish to sell. Is an auction house just ‘negotiating’ a sale? No, they are ‘making’ a sale. Making a sale involves finding clients, creating a market for a sale on a work-by-work basis. There is no ‘art market’, just a series of carefully convened transactions, where the skill lies with the transactor – the gallery or the auction house. Auction houses are coming under closer scrutiny and rightly so. We should demand to know exactly the process by which the Banksy work came to be on sale in Miami, just as we demand to know the process by which Tower Hamlets’ Mayor Lutfur Rahman came to think Henry Moore’s Old Flo could be worth £20,000,000. Art world insiders dispute this valuation, but the valuation has assisted the Mayor in advocating the sale of the work. The truth is that we all own a small part of public art because we own the experience of seeing it. When a much-loved building is demolished, part of us feels robbed. Even though Camden Council did not own the Holborn Paolozzi, they are quite right to dispute its sale. Where is this sculpture now? Go look at the hole in the wall where it once stood. Mayor Lutfur Rahman is wrong to propose the sale of Henry Moore’s Old Flo, because this sculpture actually does belong to Londoners. In truth, she belongs to humanity, not just you and me but to children past who played on her, and to future children who will be inspired to think about art and London through seeing her. I hope Banksy’s intervention on the wall of a Poundland in Haringey will make its way back into the public realm, and I am heartened that the whole episode throws open the debate about who owns public art. If someone tries to sell you the Sidney Harbour Bridge, do let me know. Artists join protests against sale of public art – Bob and Roberta Smith’s artistic protests against sale of Henry Moore’s ‘Old Flo’.